Multi hits the grill: Garden barbecue was a great success! As the weather began to heat up in the last few weeks, our study association Multi planned on heating up the barbecue too. 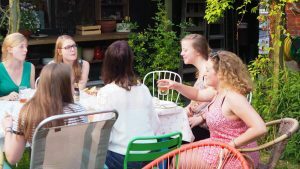 After all, what’s more fun than gathering fellow students and staff for a sunny, backyard garden party? 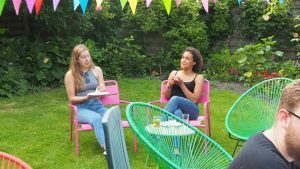 On Friday June 2th, Multi organised a barbecue in Goffe’s garden in Sauwerd. There was a nice turnout from both the M&M students as well as the staff of the programme. Great food, grilled burgers and sausages, potatoes and fresh salads, and for dessert ice cream and fresh fruit. And of course there was something to drink… Popular music was provided by our DJ Goffe. A very enjoyable evening! 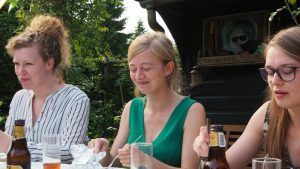 Find more photos of the barbecue here!